Today, November 18, 2017, is LOCAL COMIC SHOP DAY!!!!!! Get out to your local or favorite comic shop and support those guys for all the hard work and love they put out to us avid comic readers. These are the guys you should be supporting to stay up to date on you Star Wars Comic canon. 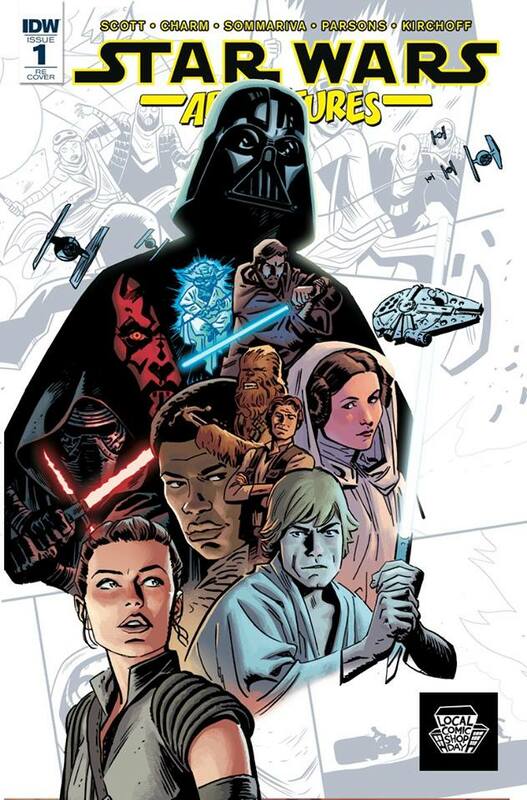 They even released a special reprint of Star Wars Adventures #1 by IDW. Get out to your local shop to pick up this variant edition today!